How does a special show celebrate a special episode? It may seem like an odd question but as it is well established that I dearly love All Creatures Great & Small, there is something very special indeed about this series. It is usual custom for TV series to set apart their Christmas episodes from the regular run in a series. 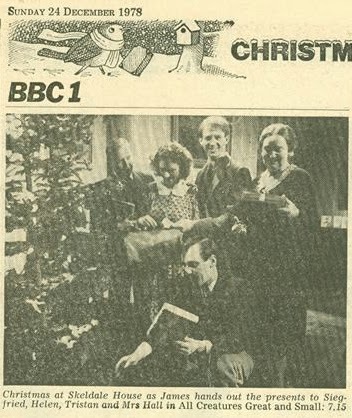 Arguably, 1970s churned out some great Christmas episodes of my favourite series. This 1978 installment would be one of my absolute favourites of all time. There was a period of time that I was not watching All Creatures Great & Small. This was not for any reason of dislike towards the series. Actually far from it. It was on my mind constantly. As I mentioned in other articles, I started to watch this wonderful series on KTCA on Sunday evenings in the mid-1980s. The series itself went a long way to cementing my love for all things British. KTCA stopped running the series not long after I started to watch it. I would hazard a guess that would be because they went through the three series and decided not to keep running it. I did catch the later episodes on A&E sometime in the early 1990s but although I enjoyed them, they were nothing like what I had remembered. I really wanted to see the episodes that I was most familiar with and wasn’t finding them anywhere. I remember in 1993, I was visiting a friend in Sheboygan WI and we turned on the TV only to find an episode of the classic run of All Creatures Great & Small playing. I was ecstatic! I hadn’t seen them in years! I asked my friend if his parents wouldn’t mind taping them for me and he, quite rightly, said they would not tape it for me. There was no hesitation in his answer. So the search went on. By chance, in 1994, I went to a garage sale and found a bunch of VHS tapes. Maybe 5 of them. 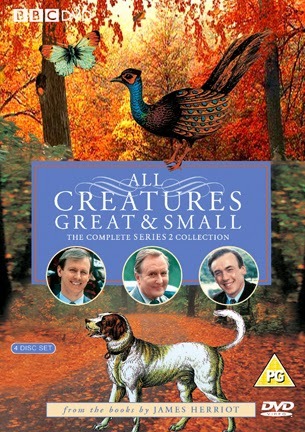 They had on them, taped at LP speed, episodes from Series 1 & 2 of All Creatures Great & Small recorded off KTCA. Because these early episodes had not been seen around here in such a long time, I might as well have just found 4 episodes of The Web of Fear. It was that exciting to me. So, I obviously bought those. I was in for a treat. For some reason, many of my memories of episodes this series came from 1 episode, Merry Gentlemen. I don’t know why since I really don’t remember originally watching it. When I watched the A&E episodes, I thought maybe my memory cheated with how good this series was but when I got a hold of this few episodes, I realized that I was not mis-remembering at all. This was truly an amazing series and I have watched one of the best installments to right about here. The episode starts with Gypsies arriving at a farm. They come through twice a year and spend time there before they move along to another place. It’s the holiday season getting close to Christmas. The idea of war is imminent and it is the thought of enjoying their time together now as there is an uncertain future. Tristan believes, pretty much right up until the war that war will not break out. Everyone else is not so certain. 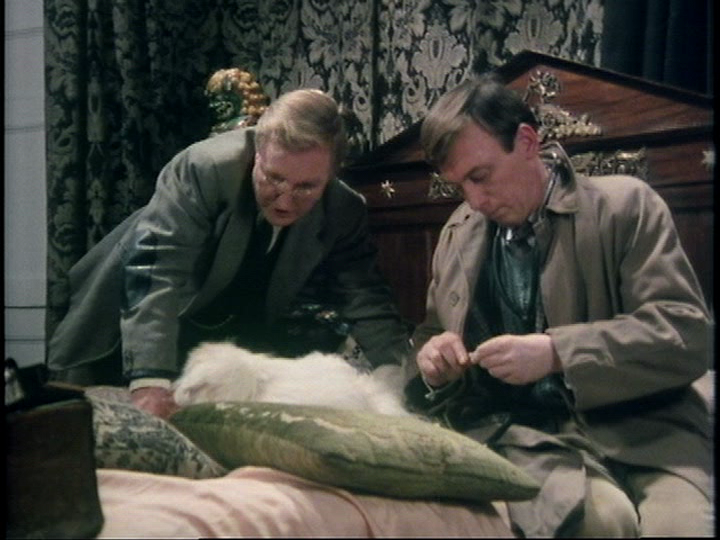 As usual with an episode of All Creatures Great & Small, this episode is made up of a lot of smaller stories which brings everything together at the end to come up with a happy ending. There are a lot of great moments in this episode. What I love about Merry Gentlemen is that although it is a Christmas episode, it doesn’t get bogged down in the holiday. It is not a saccharine induced set of moments where I am forced to feel happy. At the end of the episode, I feel happy because these characters are not only well-written but beautifully realized by the actors. When I said a lot of my memories come from this episode, I guess in reality only one memory really is strongly associated with it. James and Siegfried need to go to the Hewison farm to look at a horse. This is a fairly easy call but Siegfried knows the real reason why he was called out. It is a tradition in the Hewison family that Siegfried passes judgment on the holiday cake Mrs. Hewison makes. They feel that Siegfried has an impeccable palette. Mrs. Hewison shares a secret with James. She is not serving Siegfried her cake but one made by her sister. She wants to see if he will notice the difference and if he will be truthful with his response. This is an absurd situation but directly in a very serious way. She cuts into the cake, it looks like she is cutting into dense piece of cardboard. The plate that will have the amazing piece of cake is passed ceremonious from person to person before it gets to Siegfried. It becomes tense as he takes the cake and examines it carefully. He thoughtfully feels the texture of the cake between his fingers. Taking in the sight and smell of it. The camera virtually does a 360 degree turn around as we see the entire family and James anxiously look on to see Siegfried’s verdict. The director, Christopher Barry, really allows this scene to take it’s time and play out. No music. It just takes it’s time which makes the whole scene brilliant. Finally Siegfried takes a bite. He looked onto Mrs. Hewison and says solemnly after he takes another sip of whiskey “This is a good cake. It’s a very good cake indeed but if you may permit me to say that this is not up to your normal standards.” Suddenly the room erupts with happiness. Siegfried is a hero! I have paraphrased what Siegfried had said but one thing is certain. I have watched this episode many times and nearly every time I see this scene, I ask myself if I would have the guts to be as truthful as Siegfried and if I did, would I be able to deliver the news in such a perfect way. 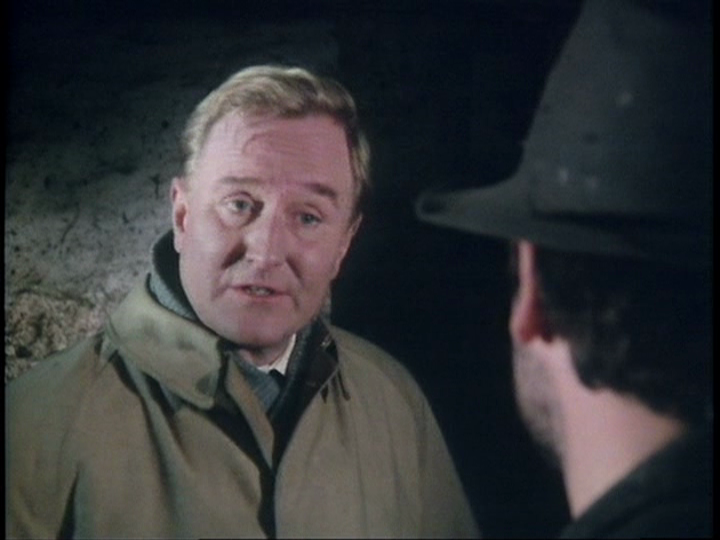 Another interesting this about the Hewisons is that Mr. Hewison was played by Robert Brown. To many of us, he is also known as M in the James Bond film series replacing Bernard Lee. It is interesting as I have seen both of them play British country farmers. Brown in this and Lee in the “pilot” for the Nigel Kneale series Beasts in an installment of Against The Crowd called Murrain. It wasn’t really a pilot but it certainly got people at ATV interested in putting Beasts into production. Of course there is something wrong with the Gypsies, or more accurately one of their donkeys. One has tetanus and may die. The Gypsy father doesn’t want to pay for the donkey to be mended, although that donkey is a favourite of his daughter’s Margie. Finally, Siegfried is able to persuade the father to allow them to treat the donkey as a gift to Margie but only Siegfreid and the Gypsy father know of this arrangement. The father is too proud to accept gifts like that but in this case has been persuaded to do so for the love of his daughter. Of course what we really need in a festive episode like this is Mrs. Pumphrey and something going wrong with Tricki woo. In fact, Siegfried was wondering if they needed to check in on her and the animal since it was getting near Christmas and he wanted to make sure they would be remembered so they would receive a hamper from Fortnum and Mason’s with all sorts of decadent goodies. That is one of my favourite aspects of the series is when we see food. I am certainly a foodie and love watching how food is portrayed in a TV series. 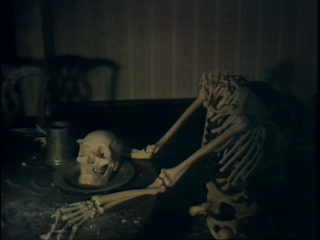 All the meals Mrs. Hall prepares in the series look hearty and wonderful, always being served in nice dinnerware. There is a very procedural way they eat and it always fascinates me. Sadly, Tricki Woo is dying. He is so sick that even the vets are not completely sure he will recover. Siegfried comes up with an inspired idea. They take Tricki Woo with them and treat him at Skeldale House. While being treated at Skeldale House, Mrs. Pumphrey visits daily (at 10am exactly). 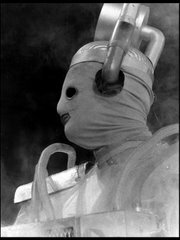 There is a funny moment when she comes into the surgery with a defeated face and says, “He’s dead. Isn’t he.” She had a dream that Tricki Woo had died and James was holding back from telling her until after the Christmas holiday. Of course nothing could be further from the truth since it is a Christmas episode of All Creatures Great & Small and death is simply not on. With the miraculous saving of Tricki Woo which is really down to the care of Helen, what does Mrs. Pumphrey do? Sends a gigantic hamper of all sorts of wonderful goodies. I wish I could sample some of that! The relationship between Tristan and his brother Siegfried is truly one of the highlights of the series and this episode is no exception. It is clear that Siegfried gets exasperated by Tristan but there are moments that he is truly a caring brother. Such as when Tristan cuts himself earlier in the episode while trying to clean the hoof of the donkey that is being treated. It is revealed, over one of Mrs. Hall amazing dinners, that Tristan never had a tetanus shot. Siegfried calmly stops dinner and quietly asks his brother to come with him. He takes him to the local doctor to get a shot. The whole time just being calm which is the exact opposite we all would expect from Siegfried. Just as he can be caring, he is also mischievous. He plays a joke on his brother once he realizes that Tristan wants to see inside a secret room that has been locked for years. Listening in on a conversation between Tristan and James about how Tristan is going to get the key to the room, Siegfried gets in the room first and plants a skeleton sitting at the dining room table with his head separated from the body resting on a plate in front of it. It scares the hell out of Tristan who becomes hysterical. A high light of the episode is watching Siegfried catching Tristan pouring himself a drink to calm his nerves. At the end of the episode, while everyone is getting ready for midnight mass, Siegfried has a gift for his brother, “a gift of pure friendship”. Tristan opens it up to find skeleton keys and then realizes that he was set up by his brother. Why was this room locked in the first place? Simply because the house is so big that Siegfried didn’t want to have an extra room for Mrs. Hall to clean that wouldn’t be used. Plus, there is also a fine selection of vintage wines in there too. 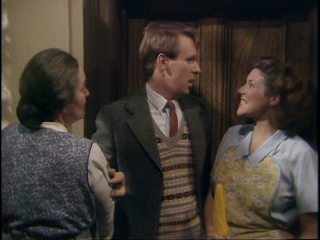 I had wondered if this is the episode that had a story I heard Peter Davison retell a couple of times at conventions. He talk about an episode that had vintage wine that were brought in as props for the episode. For authenticity sake, they were real bottles of vintage wine. The cast were not allow to touch them but they ended up opening a bottle and drinking it without knowing how old the wine was. I’ve often wondered if it was this episode or a different one. Does anyone know? Finally, I mention how many of my memories seem surrounded by this episode but the memory also cheats for me. I swore that this was the episode Patrick Troughton was in. 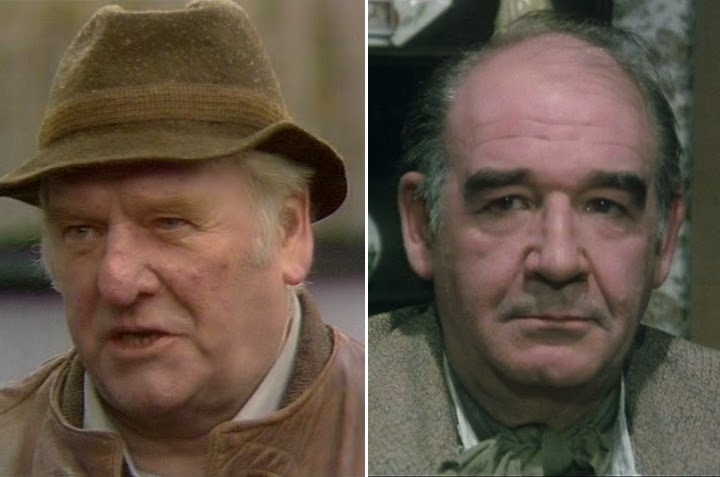 Even up to the point of watching it this time to write this article, I expected him to be the father of the gypsies and when he wasn’t that I figured he would be a different character later in the episode. He is not in this episode at all. He was in the Series 3 episode Hair of the Dog. I am not even in the right season! If you have this on disc, Merry Gentlemen should be essential holiday viewing every year. 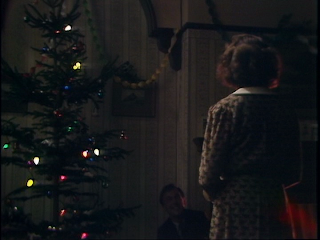 It is the right balance of being a Christmas episode without going overboard. Christmas episodes of series sometimes border on pantomime of themselves. I think a prime example of this is the Public Eye episode Horse and Carriage. I am sure there is a lot of room for those type of episodes but this is perfect. What a wonderful treat to watch every year. Special thank to John Archbold for providing the scans for the 1978 edition of The Radio Times. Next week: The Blu Ray review to the 50th anniversary special to Doctor Who, The Day of the Doctor! Belated Merry Xmas greetings! As mch as I love DOCTOR WHO, I'm glad to see you get back to reviewing other Brit TV shows - especially ALL CREATURES, which I adore. I'm with you all the way - the classic first 3 series are all I'm really interested in. I have watched many of the later series and enjoyed them well enough, but the change in the actress who played Helen (from the luscious Carol Drinkwater to the overly matronly Lynda Bellingham), as well as the straying from Herriot's source stories, puts me off them somewhat. I haven't seen "Merry Gentleman" (I only have series 1 and 3 on DVD at this time) in a long while but remember it very fondly. Thanks for the fun review! Thanks for reading the article. It is nice to break away from Doctor Who for a moment. In theory series 4-7 should have been as good as the first 3 but it lacks energy. It still manages to put a smile on my face but just not as big of a smile as when I watch something from the classic first 3 series.